Numerous clinical trials have attempted to test the benefits of using a patient’s own stem cells (taken from the bone marrow) to treat heart disease. Results have been conflicting; some claim significant improvements in heart function, whilst others report none at all. A group at Imperial College London investigated the possible reasons for this inconsistency and found strange, unexplained discrepancies within reports of many of the clinical trials. They have identified a link between claimed success rates and discrepancies, casting doubts over the validity of this treatment. - Reports with the most discrepancies claimed most benefit to patients, while those without discrepancies showed no improvement in patients’ conditions. Bone marrow stem cells have been widely studied as a potential therapeutic for patients who have suffered heart failure or heart attack. So how does it work? Well, stem cells are taken from the patient’s own bone marrow, processed and then transplanted into the heart. This is an autologous therapy; using cells from the patient’s own body. Many clinical trials have been undertaken but results are far from conclusive. Some claim significant improvements whereas others report no improvement for patients. 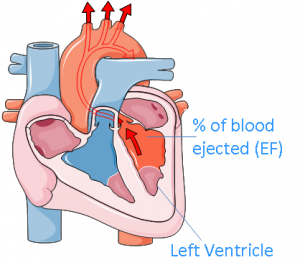 Improvement in heart function is routinely measured by the increase of ejection fraction (EF); the percentage of blood ejected from the left ventricle with each heartbeat. This is used as a measurement of the heart’s squeezing ability. Normal EF is 50-60% per heartbeat. Significant improvements in the ejection fraction are assumed to correspond with a significant improvement in heart function. In 2013, researchers from the National Heart and Lung Institute at Imperial College London analysed five ground-breaking clinical trials. Each report on these trials claimed positive results for patients but numerous unexplained discrepancies were discovered. These findings prompted a deeper investigation by the DAMASCENE writing group at the same institute. Their aim was to establish whether discrepancies in clinical trial methodologies and reporting accounted for the mixed levels of reported effects of this therapy. Clinical trials with more discrepancies in their reports also appeared to show more effect of the treatment on patients. Discrepancies in trial reports were identified using meta-analysis; a statistical method used to compare results from different studies and by weighted regression; weighting the results of each study based on the number of patients in the trial. In this way, the different sizes of the trials were taken into account; i.e. results from a trial of 100 patients would be considered twice as influential as a trial with 50 patients. 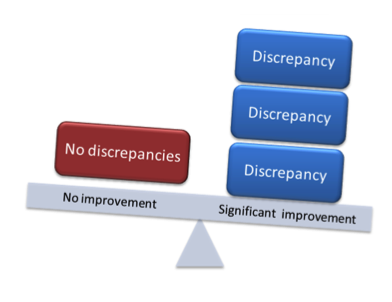 Discrepancies were defined as ‘two (or more) conflicting facts’ within a report that could not be logically or mathematically true. 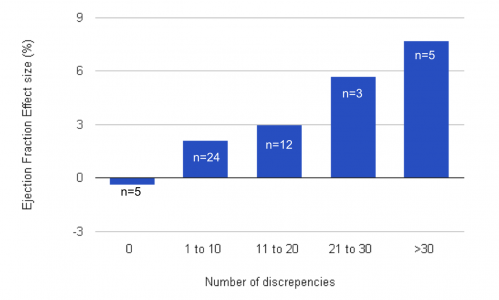 604 discrepancies relating to experimental design, methods and the results given in reports were found, ranging from 0-89 discrepancies per trial. For example; 70 patients in one report were divided into two groups of 35 and 80, female patients at the beginning of a report were later described as male, authors described the same trial as both randomized and not, deceased patients were continuing to report symptoms and undergo tests and impossible calculations determining the success of treatments were uncovered. Meta-analysis has previously been applied to this data and has shown an average positive effect of the proposed therapy, but discrepancies in the trials were not taken into account. This new study established a strong relationship between the reported effects of the treatment on patients and the number of discrepancies found in the reports. Image: Niamh Higgins based on the paper Nowbar et al. This therapy is at the experimental stage and is not a routine treatment for patients. Previously this therapy has been described as safe, but over 40 discrepancies have now been found in the reports from a clinical trial that examined safety. Although the main focus of this study was on discrepancies and their relationship to effectiveness of the treatment, separate issues were identifed in some trials which suggest that safety should also be further investigated. The results from this new study on early phase trials suggest that it is unclear whether this therapy is effective in the treatment of heart disease. Clinical trial reports free from identifiable errors could be considered the most reliable but these have shown no positive effects in patient’s conditions. Two international phase III (large-scale) clinical trials have begun recruiting participants in Europe and will focus on the efficacy of using stem cells from the bone marrow to treat patients with heart problems. However, if the findings from this new meta-analysis study are correct, many previous clinical trial reports could now be considered unreliable. This raises doubts over autologous bone marrow stem cell therapy as a valid potential treatment for heart disease. This summary was written, and the accompanying graphs created, by Niamh Higgins. The illustration of the heart was created using Servier Medical Art.